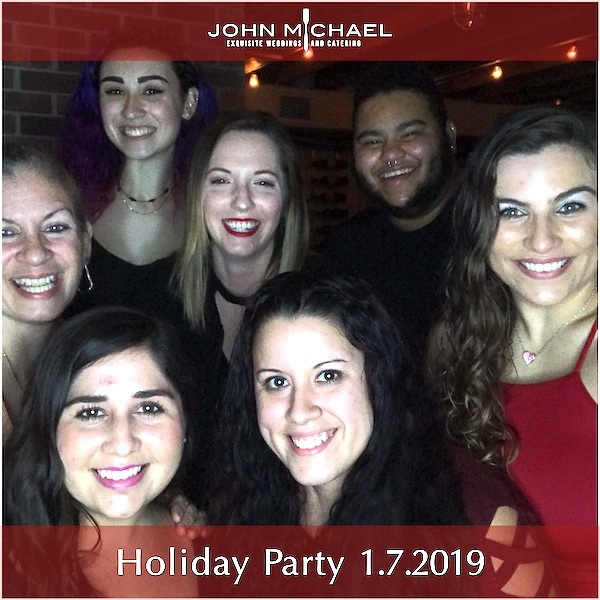 We are several weeks into the new year, and our John Michael Exquisite Weddings and catering family got to take a little time to celebrate the holidays. 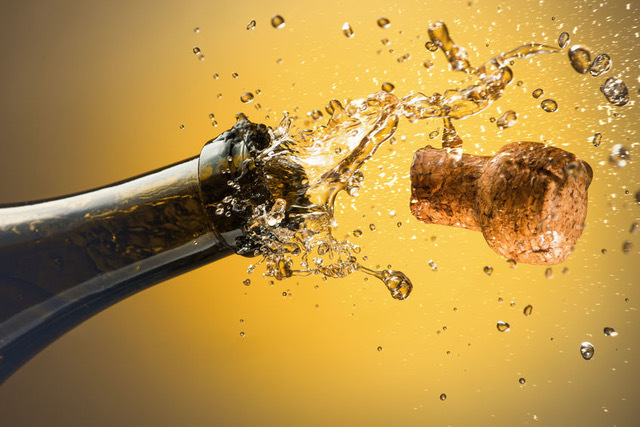 44014033 – opening a bottle of champagne. celebration concept. Yes, you read that right, the holidays. Once the hot chocolate bars are broken down, the holiday cookies are eaten, the champagne corks are all popped, we finally get some time to play. This year we treated the entire team to dinner and drinks at a local bar near our office; we had about 50 employees join us for an evening of fun and prizes. One of the highlights of the evening was our auction. After each and every event we require our supervisor to fill out what we call an “Event Summary Report”. This report enables us to gather information about how the event went, provide feedback on the staff and give out bonus points based on their performance. Over the year the staff collects bonus pints and the more you work the more points you can get. At the end of the year at our holiday party our staff uses these points to bid on prizes! Prizes often include cruises, trips, electronics, cash, scratch off lottery tickets and much, much more. To ensure the everyone walks away with a prize, employees can only bid on two items at a time. This year Sam Johnson won a 4-day Cruise in an ocean view stateroom and Gina Borras won a two night stay in St Pete with a gift certificate for a restaurant at the hotel where they are staying. Pretty great incentives, right? At the end of the night, we announce our Employee Awards. 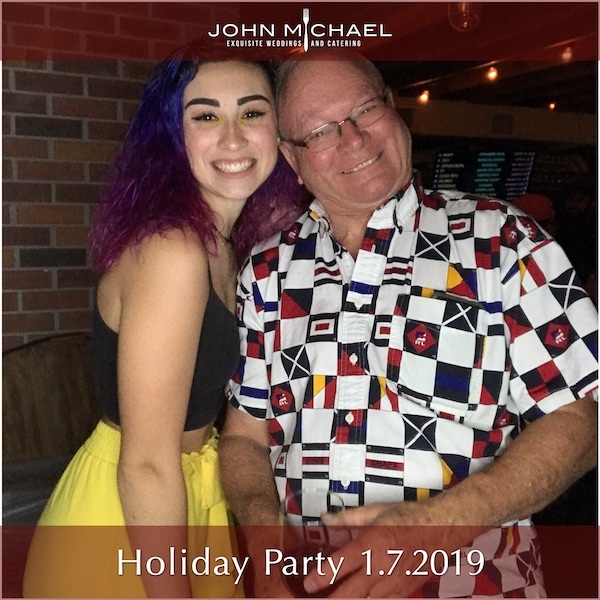 Each employee is recognized by our owner Michael Thomas and receives a signed certificate that also includes cash and prizes to show our appreciation. If you have ever wondered why our team smiles so much, this might give you an idea. 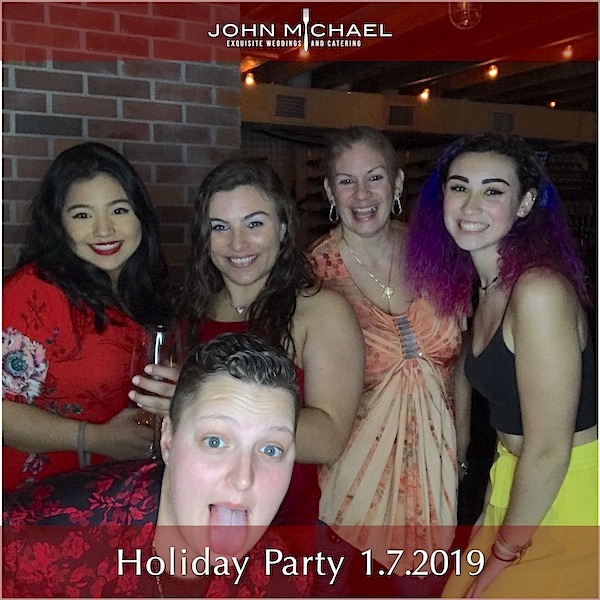 We could not do what we do without our great John Michael Exquisite Weddings and Catering team. Thanks for all of your hard work this year!